Honey, Beeswax, Olive Oil, Royal Jelly, Bee Pollen, Bee Propolis. That’s it! No additives, preservatives, fragrances, chemicals or parabens. 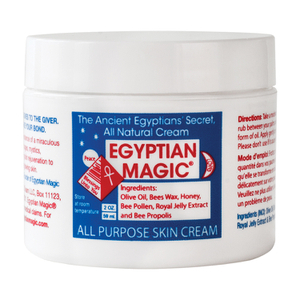 For more than 20 years we have been blending these ingredients using our unique, proprietary process, based on a formula that was created thousands of years ago in the land of the Pharaohs.